You know those “dumb” outlets that are remote controlled? The cheap ones that come in bulk and feel obsolete? Our Hook Smart Home review will show you how to use them to transform your entire home. Hook is a small brand owned by Hack-a-Joe labs that started on Kickstarter. 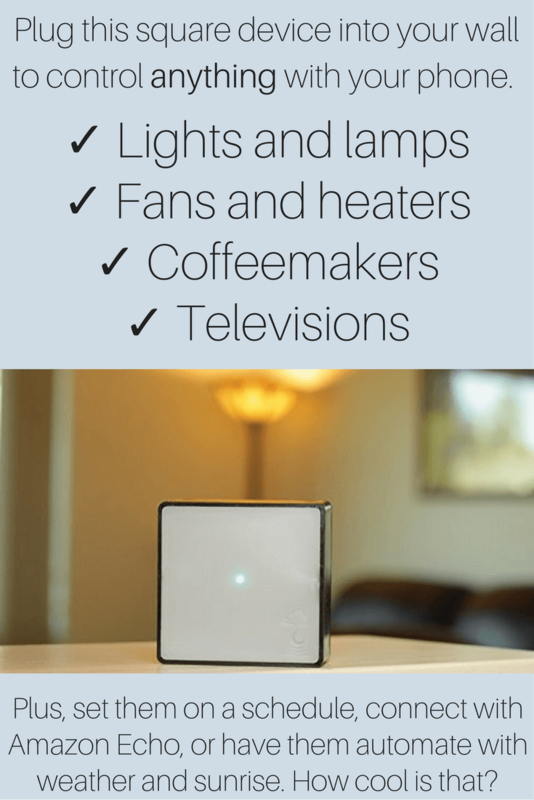 Their crowdfunding exceeded their initial goal by $10,000, because their device is inexpensive while also put together very well. 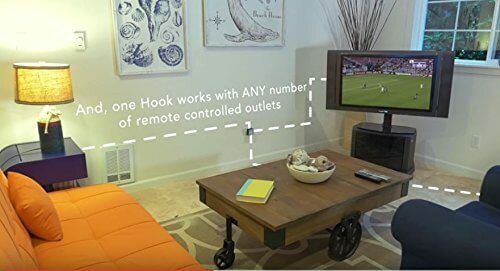 Using Hook, you can sync remote-controlled outlets with the Hook hub, which plugs into any outlet and connects to your Internet wirelessly. To set up, simply clone the physical remote control and the one in your app one time, and then they are synced forever. We love this technology; that’s why we wrote a Hook smart home review to really dive into what it could mean for your smart home. What we love about Hook is that, unlike so many existing smart home devices that demand you to replace every “dumb” device in your home, Hook is retrofit. It works with existing technology in a way that makes sense. 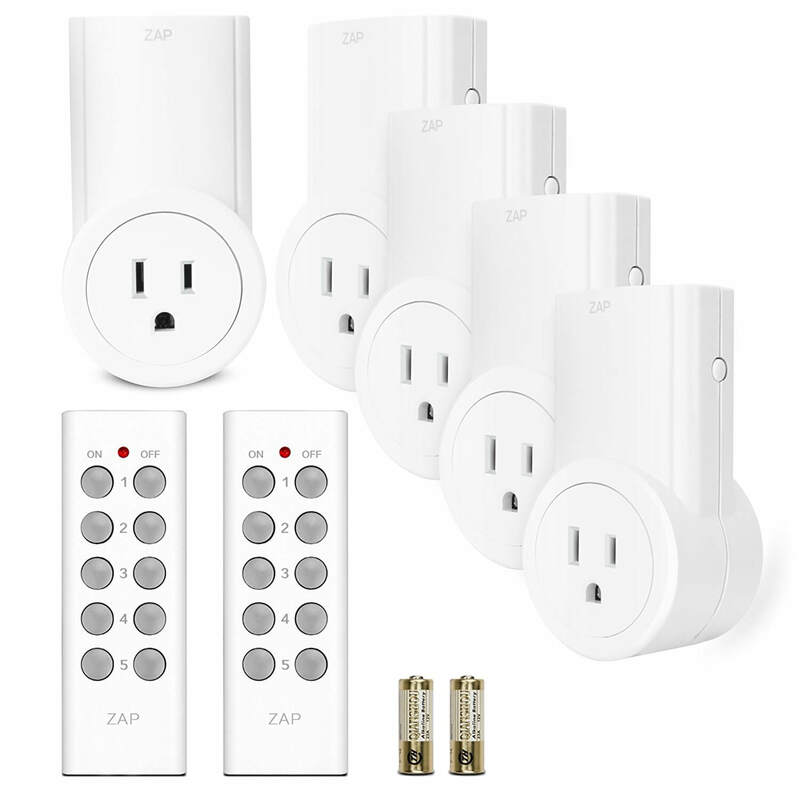 Communicating with existing remote-controlled outlets, Hook acts like the middle man between your smart phone and the outlets in your wall. Take these Etekcity outlets, for example. They come in a 5-pack for around $30, making them $6 each. Add a Hook smart hub and you’ve got 5 smart outlets that connect to your phone from anywhere. Compare that to one WeMo smart switch, which usually starts around $40. It’s easy to quickly see where Hook adds serious value to your home. Once connected, use the outlets within the Hook system to turn on and off appliances from anywhere, whether that’s the couch, car, or Cozumel. It also integrates with other smart home technology so you don’t even have to pull out your phone. Works with IFTTT or If-This-Then-That. This is where it gets cool. Integrating the free app IFTTT, you can automate your Hook with other devices in your home. Ideas include turning on the fan plugged into one of your Hook-connected outlets whenever your Nest thermostat gets above a specific temperature, or automatically turning on your lights at sunset. It can also notify you if an appliance was left on, or follow plenty of other rules. Unfortunately, Hook doesn’t have a dedicated IFTTT channel (yet), but they have a pretty easy workaround using the Maker Channel within IFTTT (tutorial here). As far as app features, you can group outlets together to control them at once, and also share access to the devices with family and friends. The Hook hub itself is unlike many smart home hubs because it only needs to be plugged into a power outlet and doesn’t plug into your router. It looks nice and is definitely a minimalist option compared to many larger hubs. Each Hook smart home hub can pair with 10-15 outlets and there is no official limit; the range is 150-200 ft through walls, making one Hook cover most homes. But if you do need to buy an extra, they can integrate together easily. Hook also works with bulb socket adapters that are remote-controlled. Overall, it’s easy to love Hook. 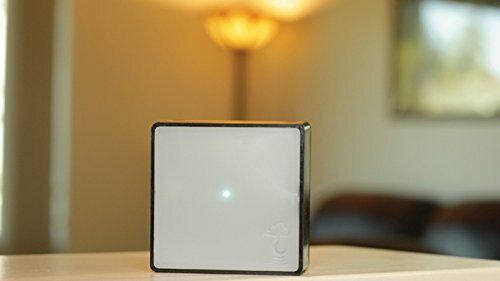 They have strong reviews on Amazon and are all about building a smart home on the cheap. These work around smart home plugs definitely stick it to the man. The open API and three-man team of engineers feels like a true entrepreneur company that’s getting it right. Well, that’s our Hook smart home review. If you have additional questions or any feedback or experiences with the Hook smart home hub, leave a comment below.